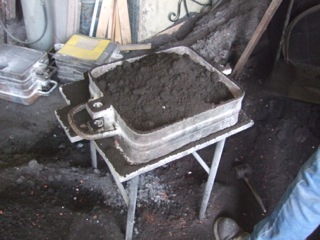 James Virgo Castings (07785 102 054) is like a trip back hundreds of years. 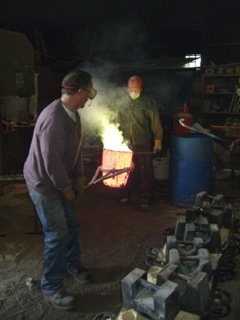 In a large warehouse in south east London, he creates beautiful pieces of craft by casting in metal. Not only are railings and door fittings from the most prestigious homes in the UK cast by him, but he also creates artworks himself which are then cast in bronze and brass. He was just the right person for me then to cast a piece of my artwork. I followed the process through and the results follow. 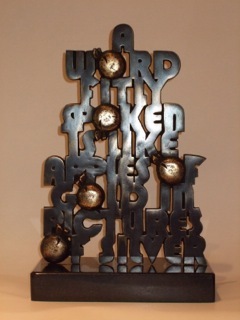 As a calligrapher I found the changes in working in 2D to 3D very exciting but also challenging. From my artwork, James arranged for a wooden original to be made from which he could make a cast. 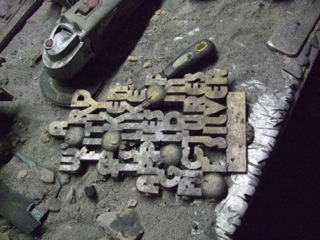 The artwork ready to be covered with sand. 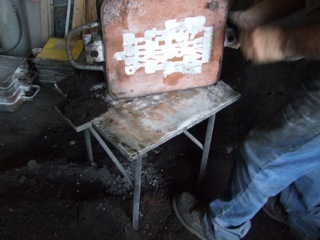 Fine white dusting powder and then red and then back sand create a good impression for the cast. Ready for the other half of the mould. 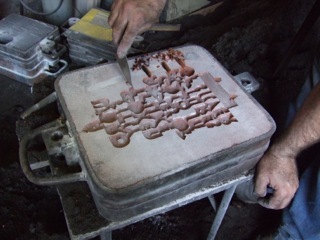 Ensuring that the bronze can get into and then drain out of the mould. Transporting the red hot metal. 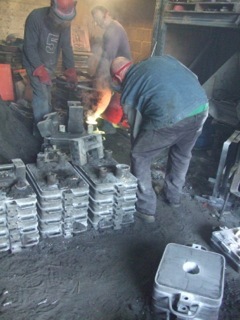 Pouring the metal into the mould. 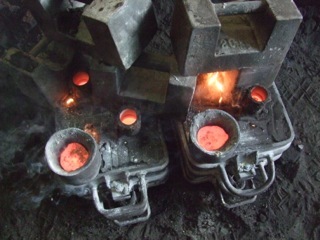 The metal in the mould. 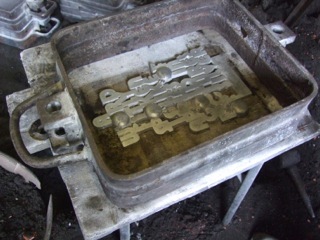 The cast ready to be cleaned up and polished. Interesting enough, I would be delighted to try this.